Capt. 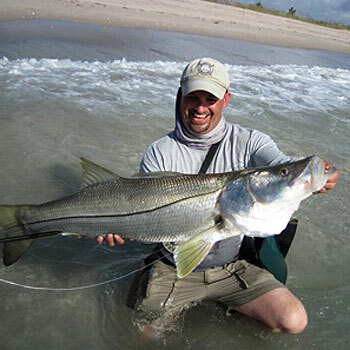 Mark Giacobba is a full time professional fly fishing guide working the most remote areas of everglades, via Flamingo. Flamingo is the point of the spear on the Florida peninsula and is really no more than an outpost. Mark Giacobba is a professional guide working the largest subtropical wilderness remaining in the United States today, the Everglades National Park. This truly diverse ecosystem ranges from the open prairies of the glades, cypress swamps, freshwater ponds, brackish bays, rivers, creeks, numerous grass flats and an endless maze of mangrove islands that extend all the way to the open waters of the Gulf of Mexico. Listen in to hear how Mark makes sense of this vast fishery and the incredible fly fishing opportunities available there. It was established for its diverse fishery and its access to remote bodies of water like Whitewater Bay, Florida bay, Hell's Bay, Gulf of Mexico and the list goes on. Listen in to hear how Mark makes sense of this vast fishery and the incredible fly fishing opportunities available there for snook, tarpon, redfish, seatrout and more.